For sealing home canning jars. Box contains 12 wide mouth Dome Lids. 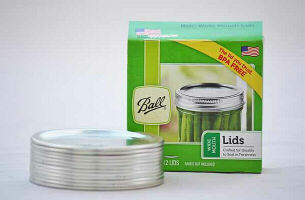 Fits either Ball or Kerr wide mouth canning jars.